So far Saha Eatery has created 1 blog entries. We were a proud supporter of this annual masquerade party highlighting local chefs with wine and beer tastings to delight and inspire every palate. 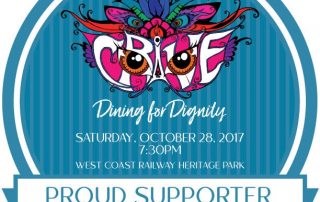 As a fundraiser for Squamish Helping Hands Society, proceeds from CRAVE help to provide food, shelter and support to those in need in our community.